Toodaloo Katie: Simply Be contest from Blog to be Alive!!! Simply Be contest from Blog to be Alive!!! I wanted to share with you this wicked contest that Valerie from Blog to be Alive is having. 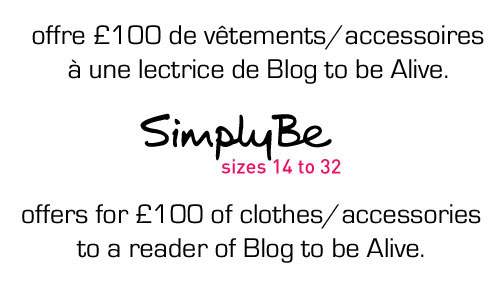 Go to her blog to enter to win £100 of goodies of your choice from Simply Be (UK)!! !